The Muddy Water Watch app can be downloaded for free from Apple iTunes or the Google Play stores. Once installed on a smartphone or tablet, a user can easily snap a photo of the pollution source, provide notes and submit a report. The report is geotagged so that it goes to the appropriate authority. “We are excited to partner with MountainTrue to deliver a mobile app that can really make a difference for the environment here in Asheville where we work and around the country. Hartwell Carson and the crew at MountainTrue have a great team working to protect the environment and we are glad to be a part of that mission,” says Brett Crossley, President, Shiny Creek. With the launch of the new app, MountainTrue and the Riverkeeper have also announced the first three Muddy Water Watch trainings of the season: June 20 at the Public Library in Marshall, June 28 at Haywood Community College’s Regional High Technology Center in Waynesvill and June 30 at REI in Asheville. June 20 – Marshall Public Library from 4 p.m to 7 p.m.
June 28 from 5 p.m. to 8 p.m.
June 30 from 5 p.m. to 8 p.m.
Asheville, NC>> Register for trainings. Participants will get training on how to identify, document and report sources of sediment pollution. Each training session will also include a site visit to an active construction site. 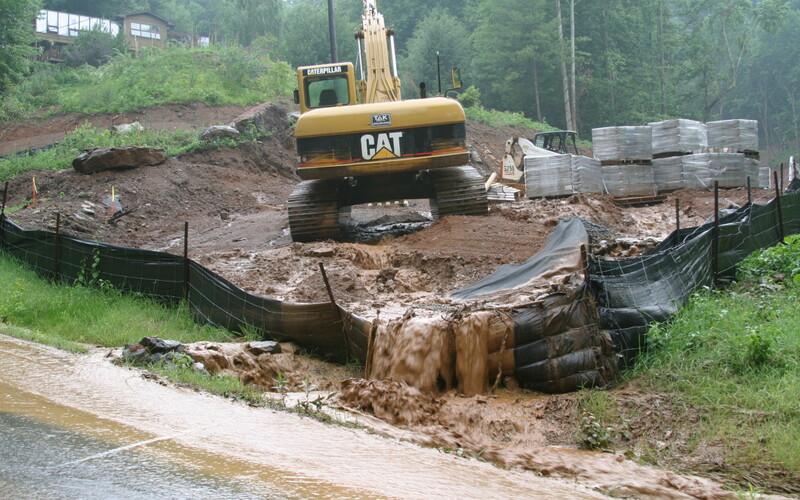 The French Broad Riverkeeper and Riverkeepers around North Carolina previously held dozens of Muddy Water Watch trainings around the state, training over 150 volunteers and reporting hundreds of sediment runoff from construction sites. This program proved to a great example of how grassroots volunteers can stop our biggest pollution source and clean up our waterways.